(Downloadable PDF) Market volatility has been at record levels in recent months, leaving every trader and investor to ask the same question: "Am I prepared to handle the market conditions?" Do you know what's the best oscillator to use for your trading? In Chapter 9, you'll learn the one oscillator Larry believes is the closest to being the holy grail of oscillators. And you'll see the test results when applied to over 77,000 trades since 1995! 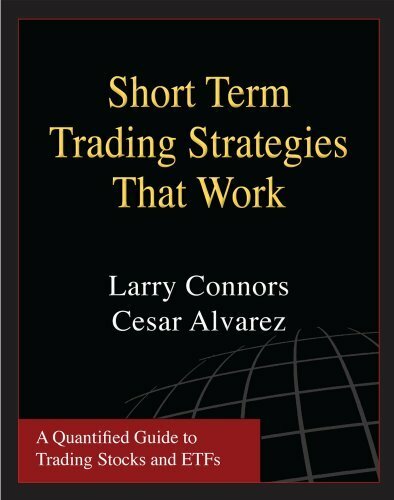 On pages 39-48, Larry will teach you the one simple technique to help make your daily trading edges even greater. Larry teaches you some of his best strategies to trade popular ETFs like the SPYs, QQQQ's and many of the more actively traded ETFs. Professionals are flocking to ETFs and now you'll have in your possession statistically backed ETF strategies you'll be able to apply for years to come. Do you use the VIX to time your trades? You'll learn numerous ways to use the VIX, many which have been over 70% correct going back more than a decade. Trading is as mentally tough as any profession in the world. Now learn from a world class expert, who Larry interviewed on extreme psychological training and what it takes to succeed not only in trading but in all walks of life.